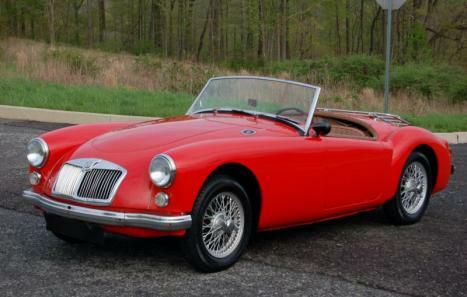 Luxury Brokers International is proud to offer this excellent driver quality 61 MG A Roadster. This is an estimated 3 owner car that recently came out of long term ownership. Finished in Red over Beige with a black top, the car shows very well and is purely a driver, condition wise. 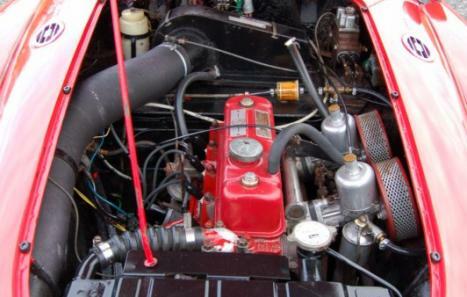 We believe this to be the original color combination, and that it still retains its correct 1600 engine. Cosmetically there are a few minor flaws, but to be expected from a car that was often driven. Some minor chips can be found on the doors near the gaps in a few places, and there is a bit of overspray in a few spots as well, but hardly noticeable. Otherwise, the paint has an excellent luster, the body is very straight with excellent gaps in all places, and overall is in very nice condition. The bright work is showing its age but is still presentable; all trim pieces are also present with no missing bits of originality. All rubber components are still very usable, with the exception of the tires which do need replacing if the car is to be enjoyed immediately. The interior shows well with newer recovered seats and carpeting, with no tears or major blemishes. The dash is also excellent with all gauges (except Speedo) working correctly. Current mileage shown is just over 51,000 but exact mileage is unknown. All knobs and switches work as well. Oil pressure consistently read between 40-60 pounds at all times with the temperature never exceeding 190 degrees. The top is nearly brand new with no issues at all, and is complimented by a newer tonneau cover. Mechanically this car has been very well taken care of, runs extremely well, with excellent idle, throttle response, and no overheating issues. The cooling system has seen a recent replacement to ensure optimum operating temperature. The entire fuel system has also seen recent replacement including new fuel pump, hoses, filters, and rebuilt carburetors. All hydraulics work well, excellent brakes that do not need any attention. Clutch feels excellent and transmission shifts very well. The mechanical aspects of this car are excellent. And can be reflected as a very nice running, driving, handling, and stopping car that would not need any attention to be enjoyed immediately. The trunk appears mostly original with correct tire straps and cover. While there is some surface rust in the trunk and one or two other places on the car, it is purely surface as there is not rot or major rust on this car anywhere. The undercarriage is also very original but showing not issues, some undercoating in the wheel wells, but very straight and solid from front to back. The wood in the floors are still in excellent condition as well. The rockers are very straight and blemish free. All suspension mounting points and components are solid with no issues. 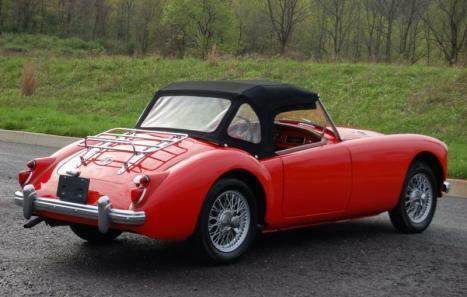 Overall, this is a very nice driver quality and mechanically sound 61’ MG A Roadster that would make an excellent driver for any enthusiast or addition to any collection. 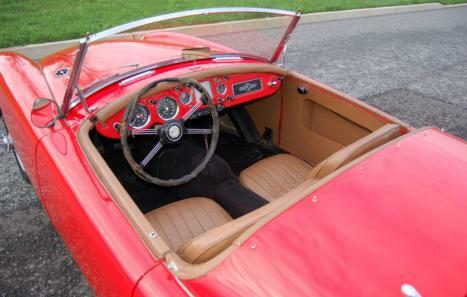 Included in the sale are a non-original jack, hammer, side curtains, tonneau, and spare. Please inquire with any questions.